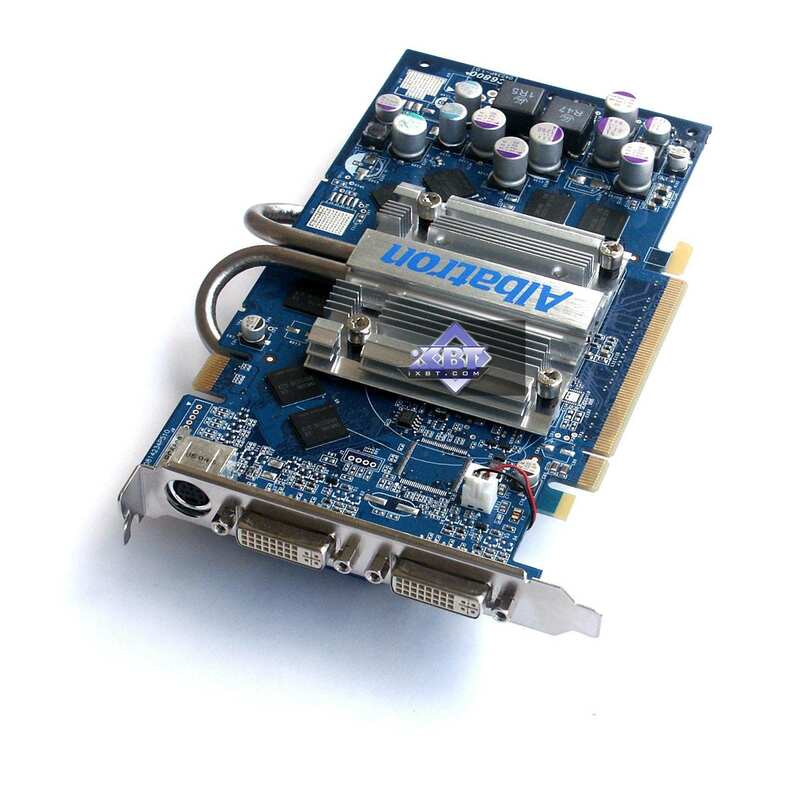 This GPU is presented by Albatron PC6800 P½P° P+-P°PPµ NVIDIA GeForce 6800 PCI-E 128MB DDR (350/700 MHz). 128MB DDR SDRAM in 8 Hynix BGA chips; 350 (700) MHz max. clock rate. Peak fill rate in the multitexturing mode without optimizations is 4200 megapixels/sec and 4200 megatexels/sec. By the end of the month the product costs $200-210, supports DirectX 9.0c (shaders 3.0). This is a product for the $200 niche. It supports all modern technologies, including shaders 3.0. PCI-Express x16 interface. 2.8ns fetch indicates 350 (700) MHz clock. On October 15, 2005 the latest drivers from NVIDIA are 81.85, 81.87 for Windows XP.